Easterly most lot on south side of Lake Lida Lane. 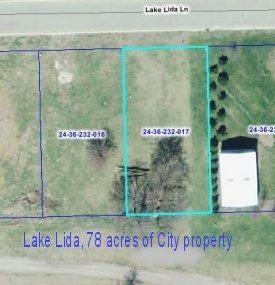 These south side lots back up to the 78 acres of City of Rochelle property that includes Lake Lida. Great views and fishing!